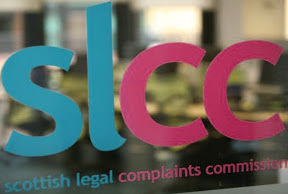 The Law Society of Scotland on Thursday, published its paper on the 'development' of the legal services in Scotland, which many hope will be fully opened up to widen competition in the legal services market. 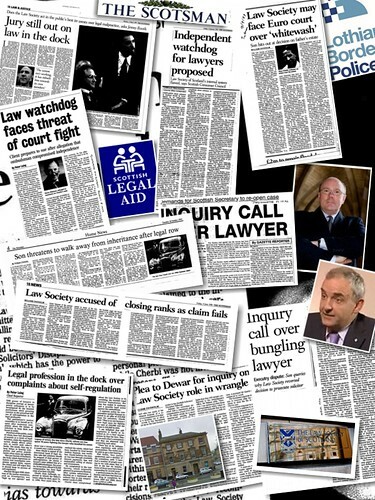 There is little surprise the Law Society's 'proposals for change' are little more than a 'policy for market protection' where the hugely profitable monopoly on legal services in Scotland, for so long enjoyed by solicitors who are members of the Law Society of Scotland faces being broken up, much to the anger & bitterness of the profession's governing body which now finds itself struggling to retain control over regulation, legal services and the public's access to justice. 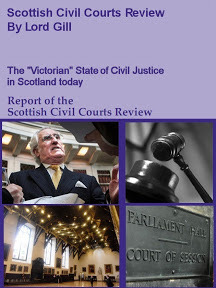 While most consumer organisations such as Which?, the Scottish Consumer Council, many campaigners & consumer groups, and even the Office of Fair Trading wish to see the Law Society's monopoly on access to justice curtailed, the legal profession have unsurprisingly, clung to their policy of retaining as much control as possible within their proposals, even citing themselves as being best placed to retain regulation of the legal services market in-house, keeping the spectre of lawyers investigating lawyers to the fore which has become one of the professions biggest burdens, and greatest liability. 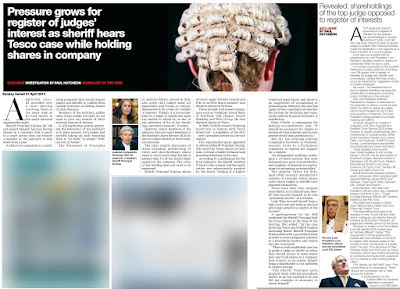 The Law Society's paper, extending to some 20 pages, inevitably breaks down to the issue of retaining regulation within the legal profession itself, where regulation has always been seen as keeping control over the very existence of a closed shop legal services market, and the consumer's access to justice. 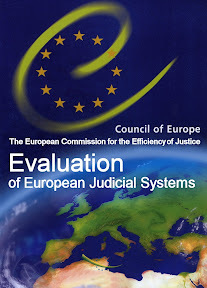 The report states on page 16 :"The market for legal services requires regulation. legal services impact on some of the most important aspects of people’s lives. legal matters can be complex and involve a range of ethical considerations. regulation helps ensure that solicitors or advocates provide their services to an agreed standard and, if not, can be subject to sanction. A free market could not offer the consumer safeguards required. 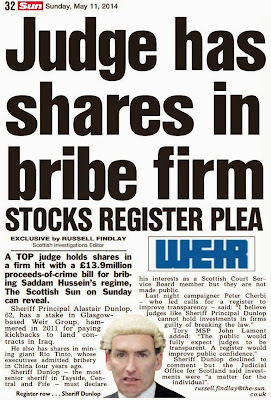 Firms of solicitors in scotland are currently regulated by the law society of scotland." 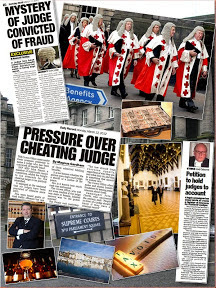 Surely after all the problems with allowing the Law Society of Scotland to regulate the legal profession for decades, which has seen complaints hit almost eight thousand a year, negligence claims at an all time high, exponential levels of corruption throughout the legal profession and almost wholesale denial of individuals right to access the justice system, the Law Society and the legal profession itself cannot ever be trusted again to maintain any form of regulation against its own members, given its abysmal failure over the years to perform its role as self regulator of all lawyers in Scotland. 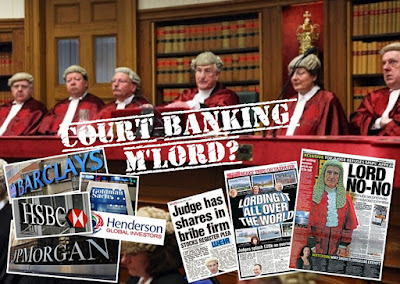 Readers are left in no doubt whatsoever on the determination of the Law Society to keep control over regulation of lawyers, with further claims in the policy paper that "The council believes that regulation is the key issue in relation to alternative business structures. 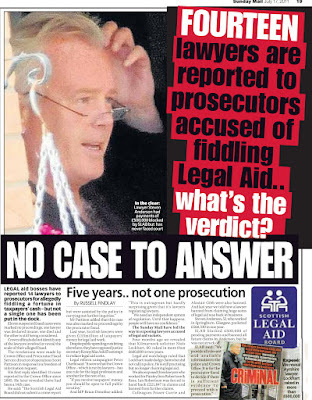 There should be appropriate regulation of the delivery of services provided by solicitors and advocates in Scotland, whatever business structure delivers those services, to ensure that the core values of the legal profession are protected and that service quality is maintained"
Again however, the current state of the Scots legal profession which sees an almost daily scandal involving 'crooked lawyers' and consistent, almost determined failures by the Law Society over regulating rogue solicitors who have built up long lists of ruined clients, demonstrate that the 'core values of the legal profession' and claims of 'quality' which the Law Society speak of simply do not exist. 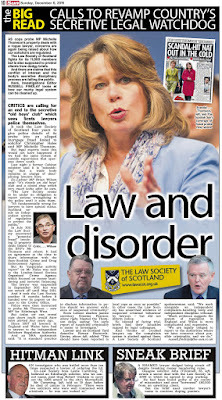 On page after page, the Law Society loses the focus over developing the Scots legal services market in both the profession and public interest, instead preferring to maintain the tired worn line on retaining regulation for itself, confirming that what this debate is really about is control over the legal services market itself, and ensuring the Law Society retains its position on regulation, which has already been split to the new Scottish Legal Services Complaints Commission. 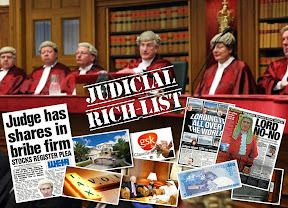 On page 17 of the legal services report for instance, the Law Society simply can't help itself and comes out with the following ridiculous statement : "The council takes the view that the society is the most appropriate body to regulate entities delivering legal services in scotland. 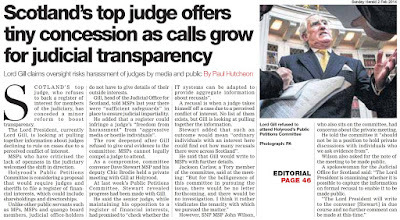 The society is the only body in scotland with relevant experience of regulation of all areas of legal practice. its capacity, however, would need to be enhanced to take on additional functions." Rather than focus on retaining control over the legal services market, just to ensure that member solicitors keep the profits from representing clients, the Law Society really needs to come away from this insane, obsession with retaining regulation just so it can demonstrate yet again how lawyers so poorly regulate their colleagues but as we see from the general tone of the policy paper, there doesn't seem much chance at that. 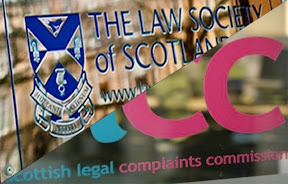 All in all, a very poor showing from the Law Society of Scotland, and one which typifies the policies of a few within the Scots legal profession who have determined that rather than embracing the opening of the legal services market in the public interest, the focus will be on continued control and enforcement of the legal professions right to control and monopolize legal services & access to justice. 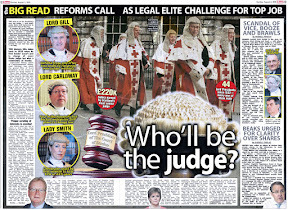 Hopefully the public's voice and that of elements within the Scots legal profession itself who are for the expanding of the legal services market will win the day and ensure the Scots national and public interest is served by giving the consumer freedom of choice in legal representation, leaving the Law Society's antiquated views to the dustbin of history, where the Law Society itself, clearly shows it belongs. As a final comment, I did like this little snippet on page 18, where the Law Society policy document states "All activities of a business structure must have appropriate indemnity insurance and fidelity cover, at a level approved by their licensing regulator, which must be not less than a statutory minimum level. The minimum terms of the protection afforded must be made explicit to clients in all transactions"
Fantastic stuff - you couldn't make it up ... clients have never been told or made aware of the [little] protection offered to them via the Law Society of Scotland's infamously corrupt Master Insurance Policy - which even saw Chief Executive Douglas Mill intervene directly in claims & complaints against colleagues and tell the occasional lie or two to Parliament over it .... so why start pointing these things out now ? 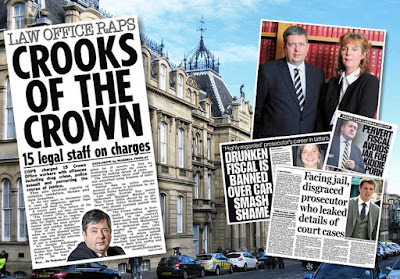 Onwards please to a fully opened legal services market - give Scots the same rights as the rest of the UK to an accountable, competitive, competent, well respected, and independently regulated legal services market - which Scotland surely deserves after all these years of failure. 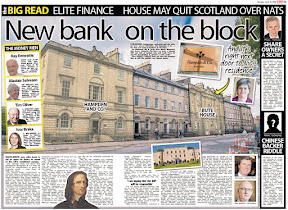 Labels: access to legal services, alternative business structures, Council of the Law Society of Scotland, Kenny Macaskill, Law Society of Scotland, OFT, Scottish Government, SNP, Which? The ability to revisit a story these days is helped greatly by the use of technology, and as clips of politicians praising, even shielding those who have caused Scotland's public and legal system a great deal of harm filter through to the web, I thought I would take an opportunity to show people what reformers and campaigners are up against when it comes to promoting reforms and reconciliation to Scotland's much ruined legal system. 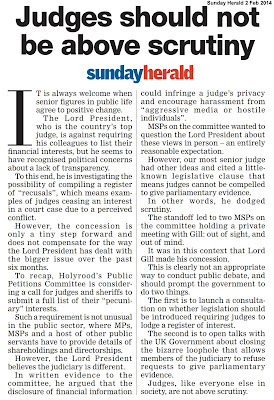 As many of you are aware from previous articles I have written on the prospect of opening the Scots legal services market, I am very much for such a move, where for once, you, the individual will be in control of who you want to represent your legal interests. 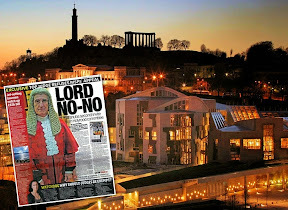 As things currently stand, and have stood for decades, the Scots public have never had such a choice, always having to use a member of the Law Society of Scotland to gain access to legal services and the Scottish courts ... and if you have a controversial issue requiring the services of a Scots lawyer, perhaps one which may not be in the interests of the Scots legal profession to pursue, you will have found yourselves cast out along with thousands of others, denied access to a lawyer and access to justice, by the very same legal profession which claims to serve Scotland so well. 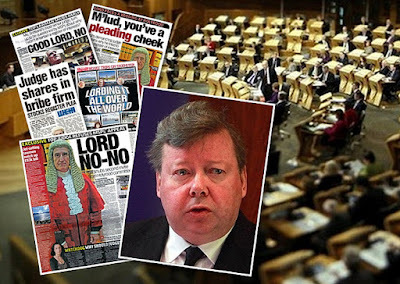 One such individual widely known to have interdicted many Scots access to justice is the current [but resigning] Law Society Chief Executive, Douglas Mill .... who felt so assured of his position of being able to halt peoples lives when it came to access to legal services, he sat before the Scottish Parliament's Justice 2 Committee and simply lied through a questioning by Cabinet Secretary for Finance John Swinney, of events revealed in Mill's own secret memos, which indicated a well practiced policy by Douglas Mill, other members of the Law Society of Scotland, and the insurers of intervention in claims & complaints against fellow solicitors, ensuring the lawyer got off the hook, while the client got nothing. 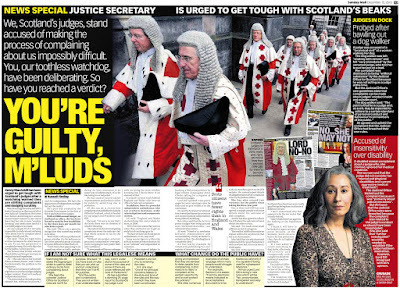 However, such people as Douglas Mill who have ruined the lives of many ordinary Scots seeking justice, or even just a simple closure to their case of complaint or legal claim, have their fans, supporters, and those who will shield them from scrutiny or attempts to put matters right. 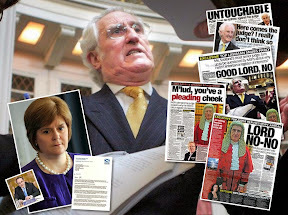 Here is a recent clip of one of Douglas Mill's fans, none other than the Scottish Conservative Justice spokesman, Bill Aitken MSP, who unwisely praised Douglas Mill, even holding him up as an undeserved 'example of excellence'. 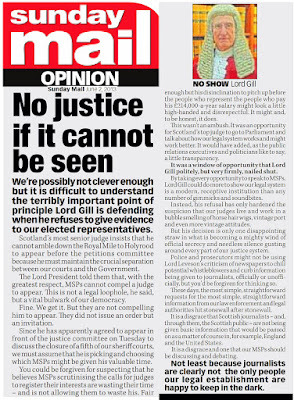 What on earth could make politicians praise such an individual as Douglas Mill, who in reality has presided over the worst period of history for Scotland's legal profession, where client complaints have reached nearly eight thousand in some years, and solicitors generally are viewed as untrustworthy, even endemically corrupt ? 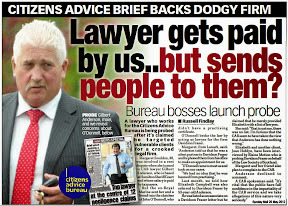 Well, perhaps what we are seeing in Mr Aitken's words of praise of Douglas Mill, are an example of the underlying support the legal profession and people such as Mill have enjoyed from politicians over the years in Scotland, the very same politicians who have mostly stood back while the Law Society of Scotland merrily ruined the lives of anyone who challenged its authority .. clients and solicitors alike. 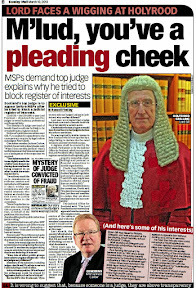 Kenny MacAskill sees it as his mission to protect lawyers from anything ... hardly a justifiable SNP goal ? 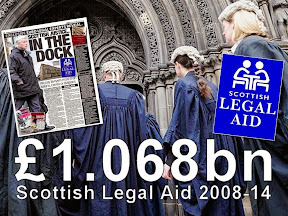 Kenny MacAskill : Scotland owes a great debt to lawyers ... but should this so-called 'debt' prejudice the need for change and public interest reforms ? 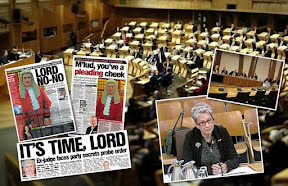 In general however, I find from talking to many people, public and solicitor alike, that Scotland and the legal profession are about quits on things these days .. so time to rid ourselves of these claimed 'debts' (which generally turn into political favours or such) and move on to bring reforms in which are both in the interests of the public and the legal profession alike. 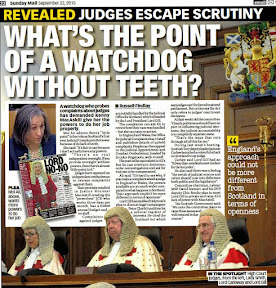 One further area which the Justice Secretary should also be looking at, if Mr MacAskill can get past his seemingly distinct prejudice of dealing with anything which criticises the legal profession, is that of bringing truth & reconciliation to the many cases of injustice which the Law Society of Scotland have themselves caused over the years. 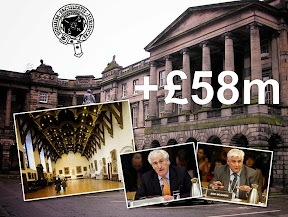 As you can see, the Law Society of Scotland were too afraid of my idea to let it live, but surely taking the time now to bring dialogue, reconciliation & settlement to people by cleaning up the mistakes & ruined lives left by the failed regulatory policies of Douglas Mill's Law Society of Scotland is worth the effort, to heal the rifts caused by the policies of a few which should not be allowed to continue to ruin the public's trust in both the legal profession and the justice system ? 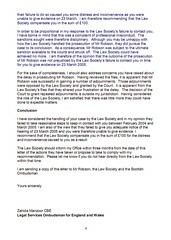 The report basically shows the Law Society of Scotland handled my complaint against former lawyer Michael Robson, with the utmost prejudice against me, and that the Council of the Law Society of Scotland deliberately excluded the details of Michael Robsons conduct in the medical negligence case relating to my mum, just to deny me a fair hearing, deny me the chance to give an input into the case, and deny me any justice - just as they do with everyone else. 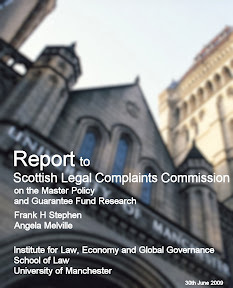 Perhaps more importantly, the Legal Services Ombudsman's report shows that the Law Society of Scotland and even Law Society Fiscal in the case, Mr David Reid of Messrs Flemming & Reid, failed to the point of deliberately seeking to deny me the chance to make a formal affidavit that I was entitled to input into the Court of Session hearings. "In his response of 17 December, the Fiscal expressed his surprise. 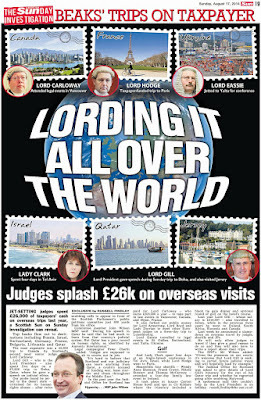 He said that he had understood that you were „very interested in the prosecution’. He suggested that enquiries should be made as to your whereabouts when you were required as a witness. However, I cannot see that any such enquiries were made. On 21 March 2005, the Law Society provided the Fiscal with your e-mail address. I can only assume that it was at that point they realised that they had a contact e-mail address for you on another file. 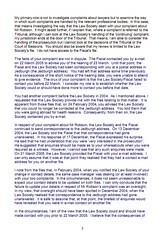 Here follow a couple of sample emails from the Law Society Fiscal Paul Reid to myself, showing firstly, his intention to take statements from me, then silence, after no doubt the Law Society decided I should again be denied access to justice or given a chance to speak. I write further to my recent correspondence in connection with the above to which I have not heard from you in response. 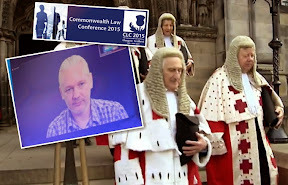 In the course of discussions with representatives from the Law Society I was advised that you were now communicating with them by way of e-mail. I am therefore taking the liberty of presenting this message to you by way of e-mail. 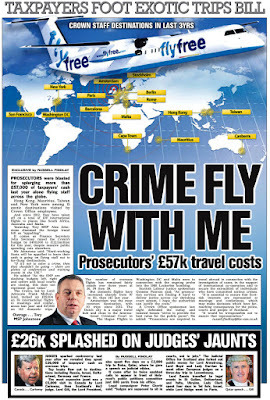 A hearing in connection with the prosecution of Michael G Robson is to take place tomorrow within the Scotsman Hotel, 20 Northbridge, Edinburgh, before the Discipline Tribunal at 10am. I had written to you previously asking that you contact me in order that I may obtain from you a statement which would then be encapsulated within the form of an Affidavit of your evidence. I have not heard from you in response. I would be grateful if you would telephone me upon receipt of this e-mail to indicate whether or not it is your intention to attend tomorrow to give evidence on behalf of the Complaint. I look forward to hearing from you in early course. P A Reid, LLB (Hons) Dip.LP.NP. and wont be able to return until sometime before June. I write further to your e-mail of 12th April in connection with the above. 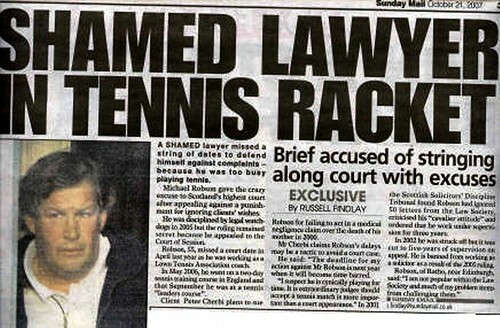 I have yet to be made aware as to whether Mr Robson intends to appeal the judgement. A period of 21 days following release of the written Findings is allowed for either party to mark an appeal. I suspect the indication that an appeal will be forthcoming is based upon previous history insofar as Mr Robson is concerned. From my own part I would consider that any appeal at his instance is bound to fail. However if an appeal is so marked then it would be my intention to counter-appeal the decision of the Tribunal in relation to your evidence. When that is determined, at that stage it would be my intention to meet with you, if possible, and obtain from you a statement in relation to your involvement with Mr Robson and the manner in which you were let down. I trust this will not cause you a difficulty. If there is any further information which you require from me, please do not hesitate to contact me. I am informed that the prosecution of Michael Robson is to be in May, but I have not heard from you as to the matter of whether I am giving a statement or not. 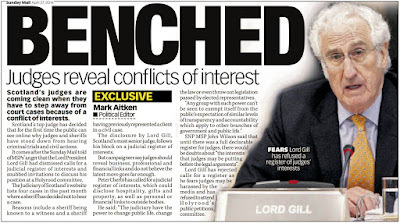 It seems I have also been contacted by elements of a lobby group who are volunteering to be in touch with Mr Robson, to ensure that all his rights to cross examine witnesses or cases in the prosecution, are adhered to. 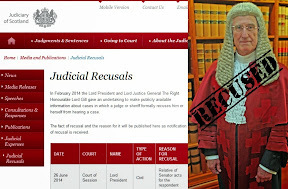 A catalogue of obvious delay, denial of access to justice and prejudice seems to be the course of the day in the Law Society's determination to prevent me from speaking in court against their lawyer Michael Robson. Even worse revelations in the Legal Services Ombudsman's report show the Law Society Fiscal made an attempt to delete references to my complaint so they could be heard at a later date - supposedly, and that was unsurprisingly denied, simply because no one in the court, even Mr Robson, wanted me to be able to speak about how he treated the case of my mum's death at the Borders General Hospital. 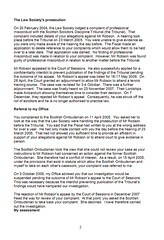 "On 20 February 2004, the Law Society lodged a complaint of professional misconduct with the Scottish Solicitors Discipline Tribunal (the Tribunal). 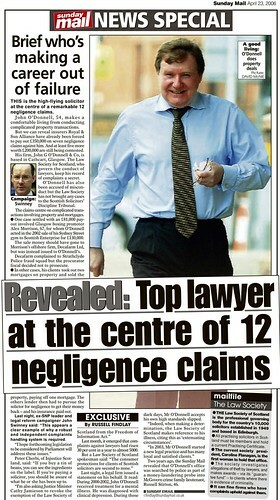 That complaint included details of your allegations against Mr Robson. 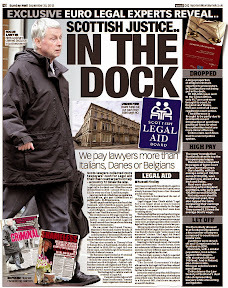 A hearing took place before the Tribunal on 23 March 2005. 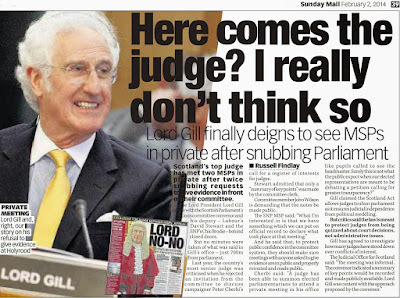 You were unable to give evidence as you were only made aware of the hearing the day before. The Fiscal made an application to delete reference to your complaints which would allow them to be held over to a later date. That application was denied. No finding of professional misconduct was made in relation to your complaint. 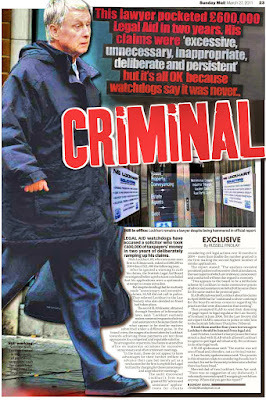 However, Mr Robson was found guilty of professional misconduct in relation to another matter before the Tribunal." 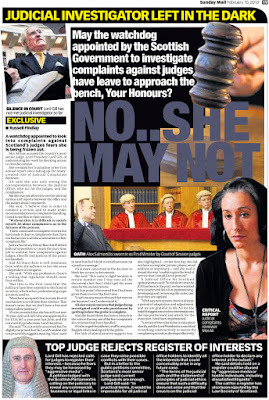 Quite convenient for both the Scottish Solicitors Discipline Tribunal and the Court of Session that I wasn't allowed to make any affidavit or statement about how Michael Robson had treated me as a client - and with my complaint being one of the principle complaints against Mr Robson which the Law Society had investigated, that is an incredible denial of access to justice, which the court itself became part of. 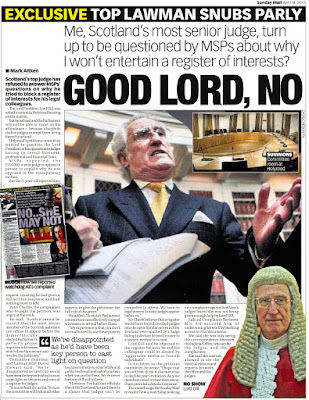 Mr Robson was happy too of course, as he didn't have to answer for why he lied the whole time he said he was handling the medical negligence case involving the death of my mum. 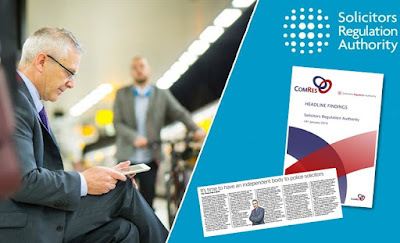 The conclusion of the Legal Services Ombudsman's report finds the Law Society guilty of wrongdoing, so to speak, and offers a paltry 100 pounds for their actions. 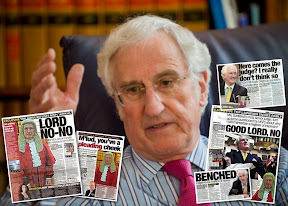 Quite disgusting that in our society, an ombudsman has such limited power, but this is just another good example of how crooked lawyers get away with it, time and again, with everyone, not just myself. 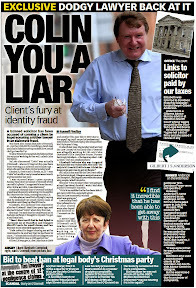 "I have considered the handling of your case by the Law Society and in my opinion they failed to take reasonable steps to keep in contact with you between February 2004 and March 2005. 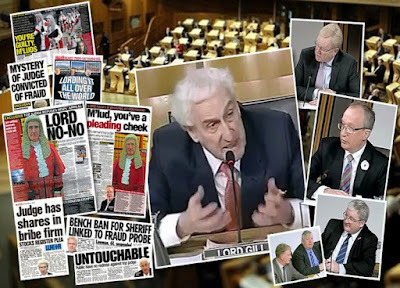 I am also of the view that they failed to give you adequate notice of the hearing of 23 March 2005 and you were therefore unable to give evidence. 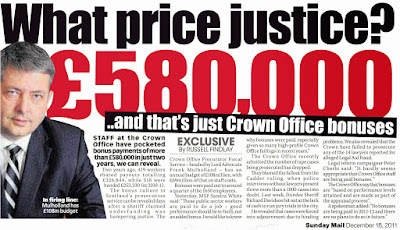 I recommend that the Law Society compensate you in the sum of £100 for the distress and inconvenience caused to you as a result"
Ultimately, the Law Society gets off the hook again, and if anything this case simply shows the present structures of prosecuting crooked lawyers and recovering damages in Scotland is a complete and utter failure. 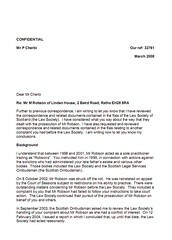 So can I find a lawyer to represent me in a case to sue the Law Society and Mr Robson for what happened ? 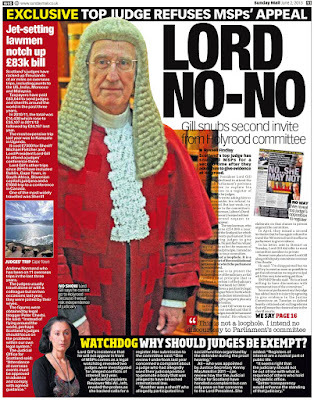 I doubt it, as all lawyers are members of the Law Society of Scotland and wont want to do anything to upset the powers that be. 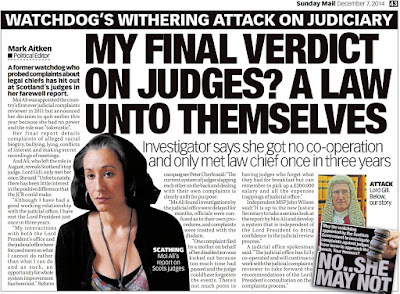 This is all a good example of how our glorious Scottish legal system is geared to self protecting lawyers and the legal profession against any member of the public who may have a valid claim against a solicitor. 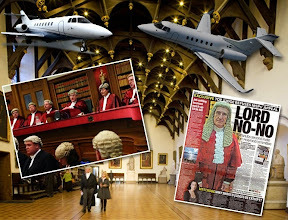 That in itself is a good enough argument to ensure that any regulation involving the legal profession must be fully independent, transparent and have no connection whatsoever with the present systems the legal profession has put in place over the years to constantly save itself from any harm. 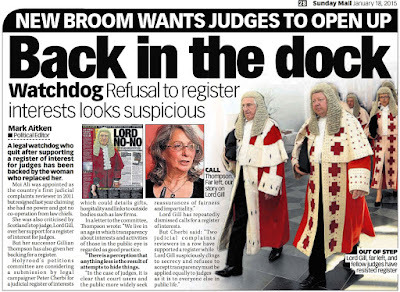 Reform these injustices now, and bring fully independent regulation for the legal services market, which must be fully opened up to break the Law Society's monopoly on access to justice - as they have so well demonstrated against myself and so many others.